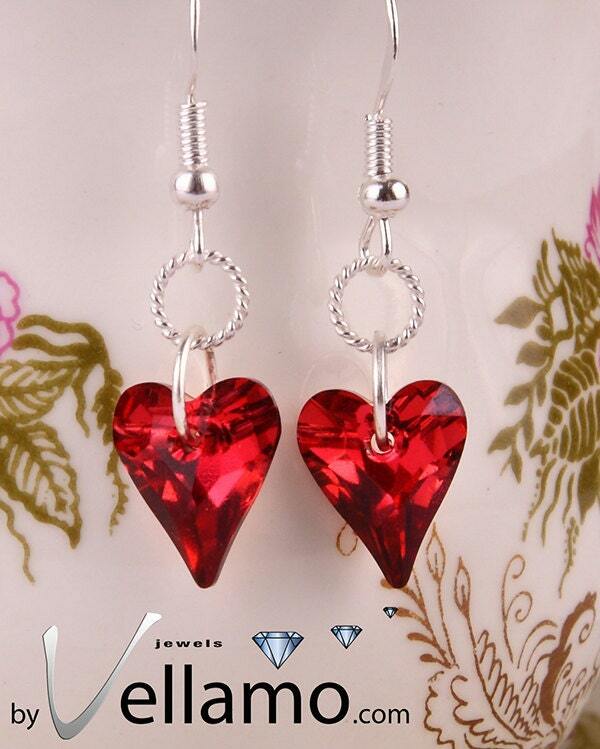 Sterling silver earrings with red wild heart Swarovski crystals. Modern, fashion earrings. Size of crystal hearts is 12mm. Total length of the earrings: 35mm. The earrings come in a gift bag, ready to give as a gift!